A military hotline between top-ranking officers, maritime security cooperation between the two Navies, and maintaining peace on the border areas was agreed upon during high-level talks between the Chinese and Indian defence officials in New Delhi on Monday. Beijing and New Delhi also agreed to coordinate global peacekeeping, counter terrorism and humanitarian assistance and disaster relief at the 6th Annual Defence and Security Dialogue on Monday. Deputy Chief of China’s People’s Liberation Army (PLA) Wang Guanzhong and Indian Defence Secretary R K Mathur exchanged notes on “regional and global security issues of mutual concern”, said an Indian External Affairs Ministry statement. “In particular, issues concerning the security situation in South Asia, the Asia-Pacific and the Indian Ocean region were discussed. Both sides agreed that strengthening of strategic consultation and communication would facilitate sharing of perspectives and mutual understanding in the evolving regional security situation,” said the statement. 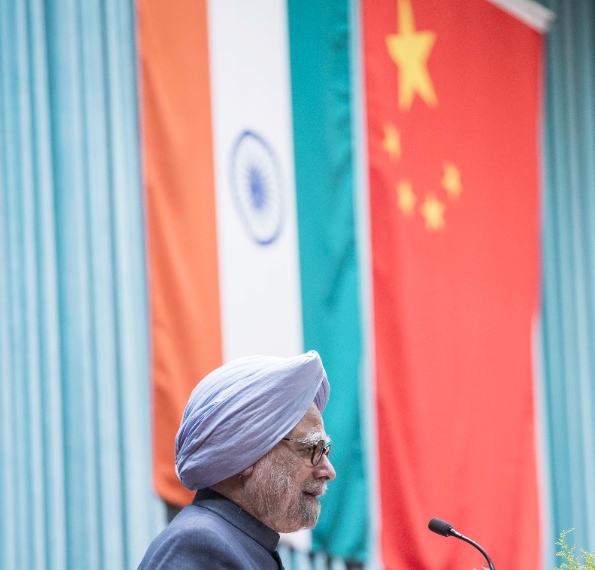 The China-India dialogue was held in the backdrop of growing US concerns that China is gaining creeping control of oceans in the Asia-Pacific region. Japanese Prime Minister Shinzo Abe’s claims at the World Economic Forum in Davos last week that the current tensions between Beijing and Tokyo resembles that of the rivalry between Germany and Britain before the First World War had created a furore. Both Tokyo and Washington have said they do not recognize China’s announcement last year that it has the right to police the skies above the islands. Dismissing such suggestions, Fu Ying, Chairperson of the Foreign Affairs Committee of China’s National People’s Congress, said recently that the situation in Asia now was different from that of Europe in 1914, when countries were fighting for expansion in “the year of imperialism”. Meanwhile, China’s Minister of National Defence is slated to visit India in 2014. “China and India are two old civilizations,” Chinese Premier Li Keqiang said following the signing of a historic border accord last year. The border defence cooperation agreement is built on existing confidence-building measures along the Line of Actual Control as the unsettled border is called. “Our two peoples have the wisdom and our two governments have the ability to manage our differences along the border so that it won’t affect the overall interests of our bilateral relations,” Li added. India and China have also announced senior level exchanges between the Directorates General of Military Operations to be conducted in India in 2014 aimed to etch practical measures for management of border issues. The two sides noted on Monday that the bilateral visits of the Indian and Chinese Defence Ministers in 2012 and 2013 had provided an impetus to the expansion of military exchanges.